Back in 2011, Google launched the Google Plus service to compete with the biggest social networking website, Facebook. However, the social network by the giant search engine company, Google, did not go as smooth as expected. For all those who do not know about the Google Plus, it will let you add different people in different circles and users can share stories, photos or videos with the people in specific circles. Some companies got benefited from the Google Plus while for some users it is just another social network that they want to use. 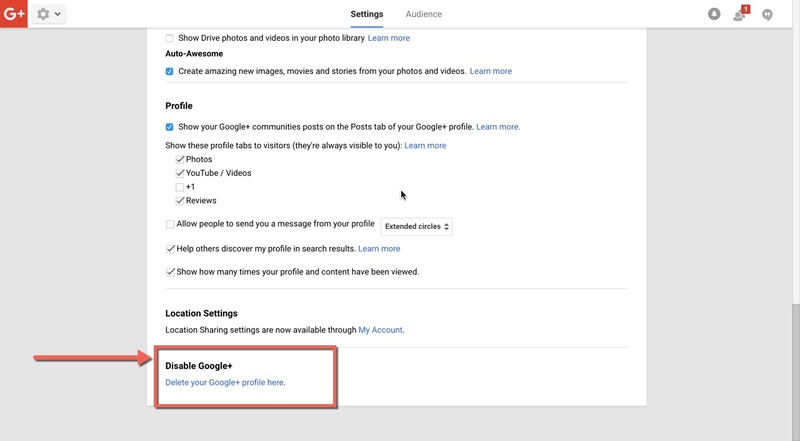 Normally, when you make a Google account, your Google Plus profile is automatically created. So, most of the users think that deleting Google Plus account will delete their Google account. Well, if you are one of those users who are annoyed by the notifications in Gmail or Google and want to delete their Google Plus account while retaining the Google account, we have a great news for you. 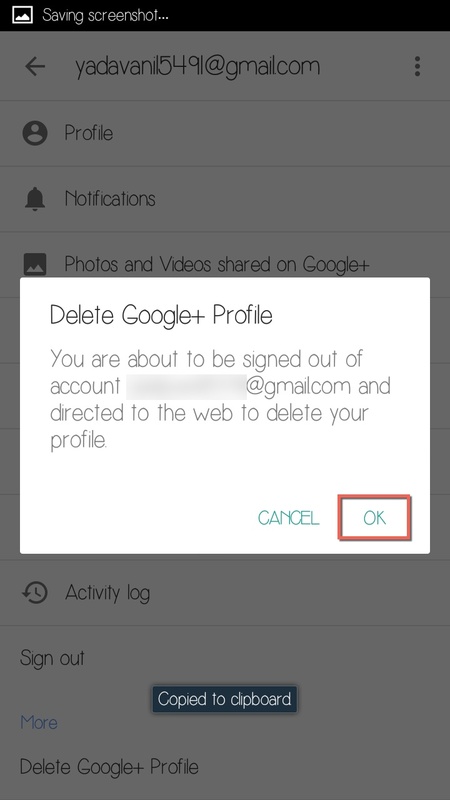 You can delete your Google Plus account on your iPhone, Android Phone or the Desktop. 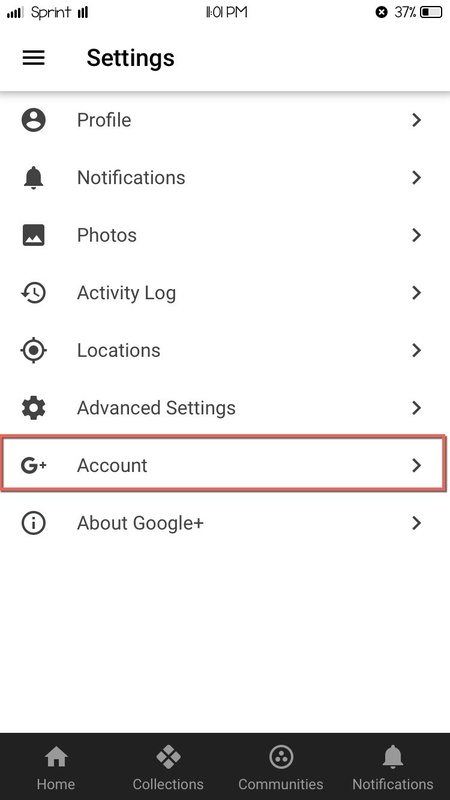 Google has made it a lot easier for different people and here’s the step by step guide to delete Google Plus account on different devices. This is the easiest way to delete all of your data and Google plus account by using a web browser on your computer. 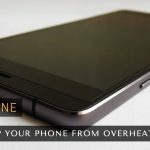 This method will work with approximately all of the latest web browsers on the computers such as Internet Explorer, Safari, Google Chrome, Mozilla Firefox and Safari. Go to your Google Plus account page from your web browsers, you can click here to navigate to the Google Plus Profile page. 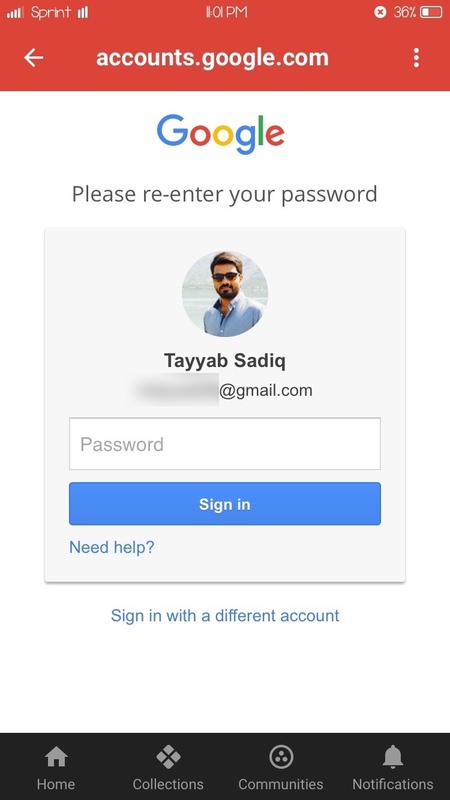 Login with your Google credentials, Google Plus uses the same email address and password as of Gmail. 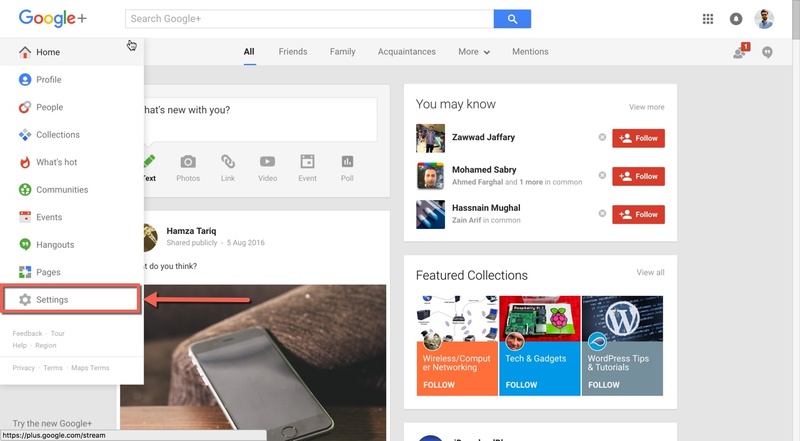 Once logged in, you will be redirected to the main page of Google Plus. Click on the Home and select Settings from that page. On the next screen, go to the bottom of the page and click on the Disable Goolge+ and select Delete your Google Plus profile here. By clicking on that button, it will redirect you to Google+ downgrade page, where you can choose different options that you want to delete. After selecting the options, check the last box and click on the “Delete” button again to complete the deletion process. That’s it! 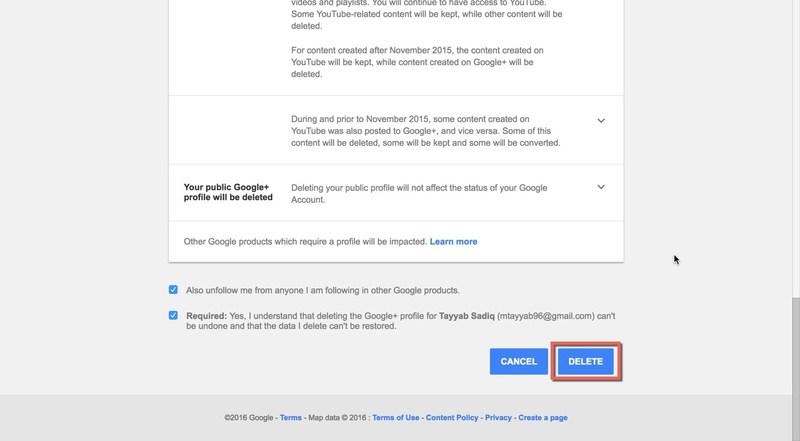 It will remove all of your Google plus data including the posts, +1s, friends and everything. However, your Gmail contacts will be remained as it is. Launch the Google Plus application on your iPhone, iPod Touch or the iPad and click on the “Three Lines” as shown in the screenshot below. As the new tab pops in, click on the “Settings” button. In the settings, tap on the “Account” as shown in the screenshot below. 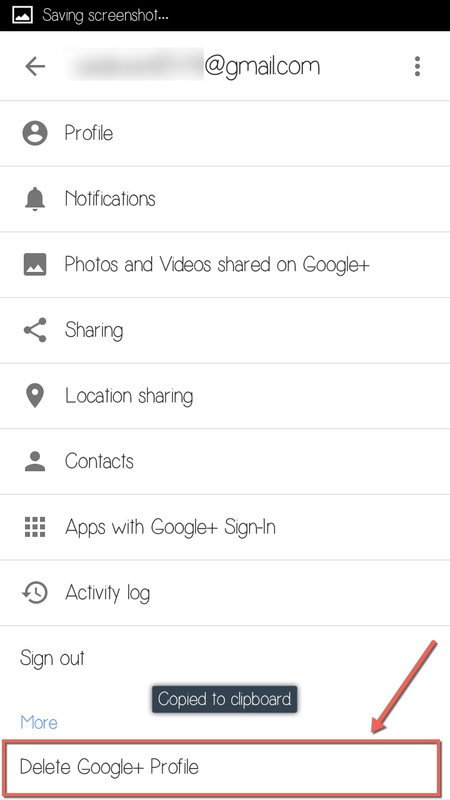 The next screen may ask you to enter your Google plus information such as the Google username and the password. However, after entering the information, it will take you to the “Delete account” page. 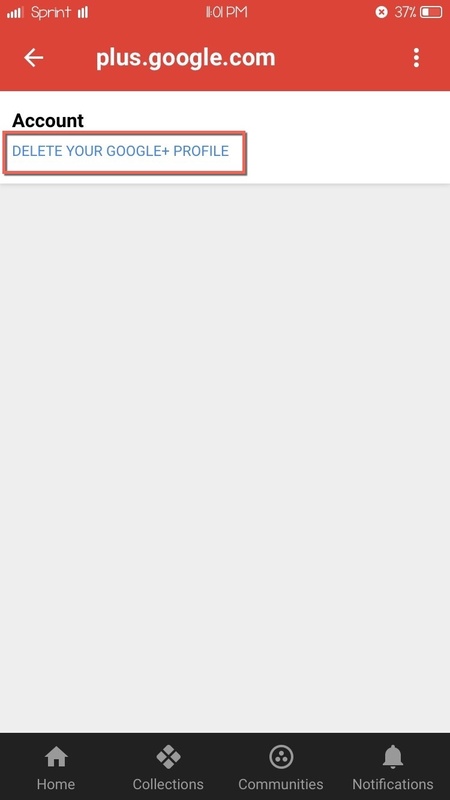 Now, tap on the “Delete your Google+ Profile” as shown in the screenshot below. 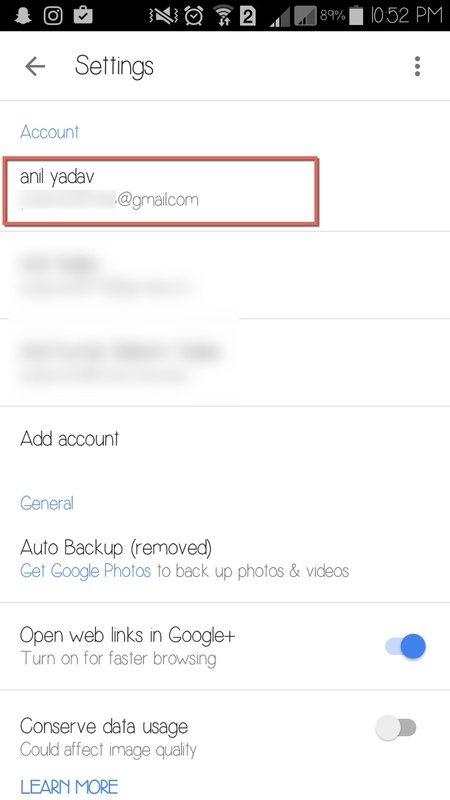 Finally, re-enter your Gmail password to continue which will remove all of your Google+ data. 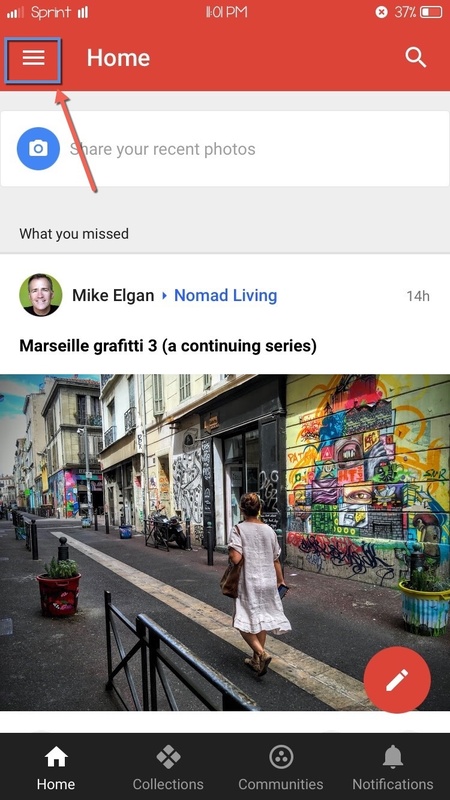 Unlike iPhone, Google has embedded the Google + application in the Android OS which makes it rather easy to use or even delete the Google Plus account from Android phone. 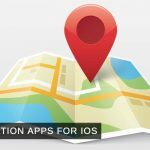 So, you will not have to navigate to the Google Play Store to search and install the application. 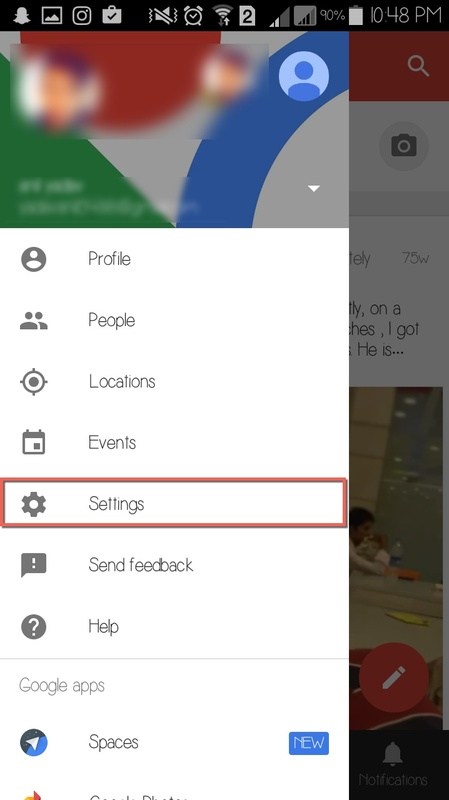 From the main screen, launch Google+ on your Android Phone and click on the three lines in the top left corner. 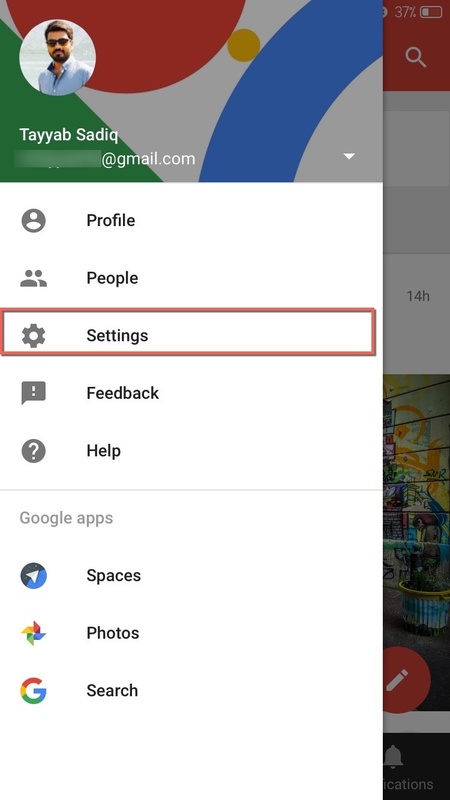 If you have added more than one Gmail account to your Android Phone, select the account that you want to delete and hit the “Settings” button as shown in the screenshot. In the settings, again select the account that you want to delete. Finally, it shows a dialogue to sign out the current Google Plus account from your Android phone and will redirect you to the web page. Click on the “OK” button. Enter your password for Google+ account and follow the instructions to delete your Google+ account. Soon after the release of Google+ service, it gained so much popularity. However, over the years, the service has only seen the decline. The only good thing about deleting the Google+ account is that your Gmail, YouTube, Android or Google Play account will not be affected at all.